It's a fact that no one hates a sloth, they're cute, they're weird, they're lazy, and they're awesome. The Ask Me Why I'm Lazy shirt is a t-shirt with the aforementioned text on the front, and once someone reads your shirt you are supposed to flop the front of your shirt over your head like a neanderthal and display the picture of the sloth on the inside of the shirt to make it look like you yourself are the sloth, and you will then both have a good laugh and kill yourselves. 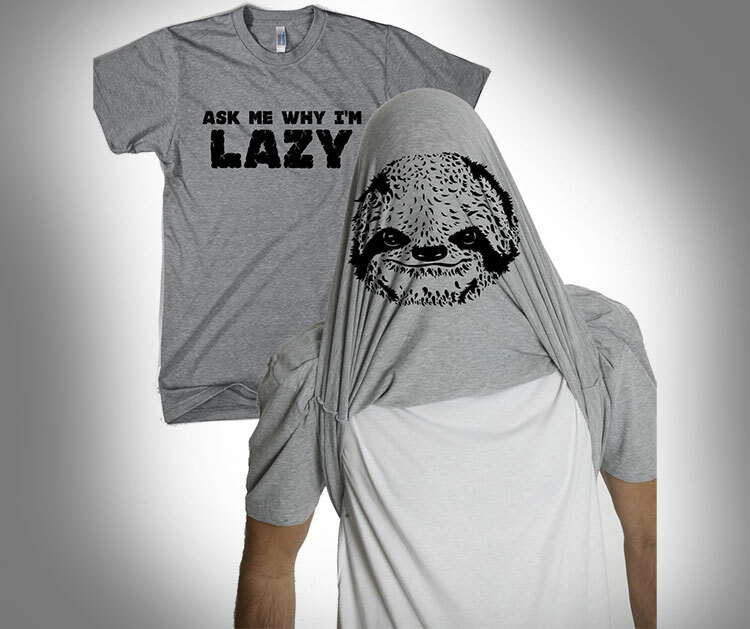 The ask me why I'm lazy sloth shirt is grey with black text, made of 100% cotton, and would look great while wearing your new sloth rings, or your sloth sleeping mask.